By now, you either absolutely love or decidedly hate Pokémon Go. The augmented reality app has taken the world by storm, attracting all kinds of Trainers from the coveted millennial pool to small local businesses. 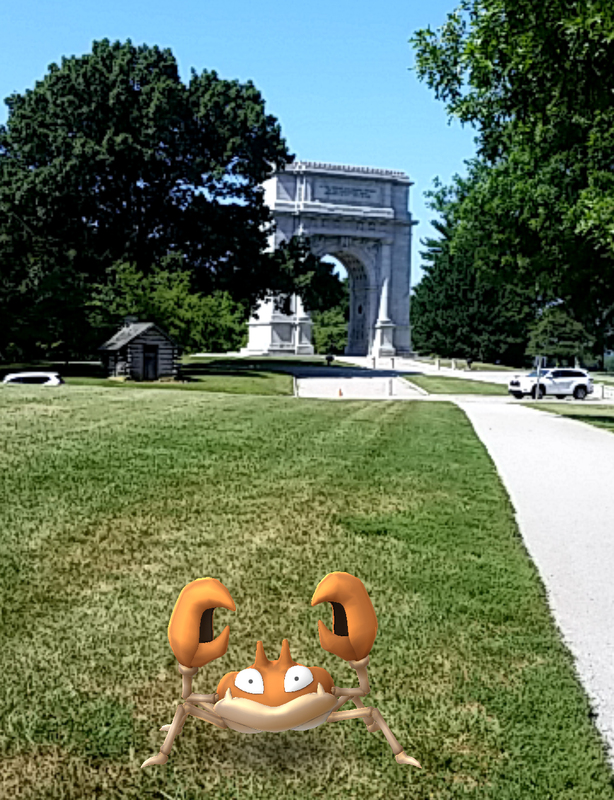 Valley Forge National Historical Park is no stranger to Pokémon Go. In fact, the park is a goldmine for adventurers looking to explore both history and augmented reality. With over 70 Pokéstops and 20 Gyms, any self-respecting PokéMontco Trainer should plan a trip to Valley Forge Park. That said, I gathered my sneakers and portable charger and headed to the park. Eager to be the very best, I spent the afternoon out of office and on the Joseph Plumb Martin Trail, the 5-mile trek that loops around the Grand Parade. I was Lewis and Clarke meet Ash Ketchum as I journeyed in search of rare Pokémon. Braving both the mid-afternoon sun and swarming Pidgey, I carefully mapped out the Pokéstops and Gyms along the way (interactive map to come soon!). The walk itself is quite pleasant. A balmy breeze and leafy tree shade keep the summer heat at bay, while the gorgeous scenery pulls your gaze away from *gasp* your smartphone. Most of the Pokéstops are historical markers, so I enjoyed reading the tidbits of American history while collecting my Potions and Pokéballs. I encourage you to do the same; keep in mind you&apos;re often swiping memorials and monuments. In terms of Pokémon availability, there are some gems among the typical Pidgey, Rattata, Zubat and Weedle. I encountered a plethora of Krabby and Clefairy, as well as a handful of Eevee (Fun Fact: Vaporeon is statistically the strongest Eevee-lution currently available in Pokémon Go). Rarer finds are here too. I tracked Electabuzz, Clefable, Gloom and Scyther on my excursion. I began my park journey as a Level 15 Trainer, so higher level Trainers are sure to encounter more epic catches. I also caught quite a few starters. If you&apos;re looking to evolve your Charmeleon, this is the place for you. 1. Grab a park map and a trail map from the Visitor Center before embarking on your catching expedition. 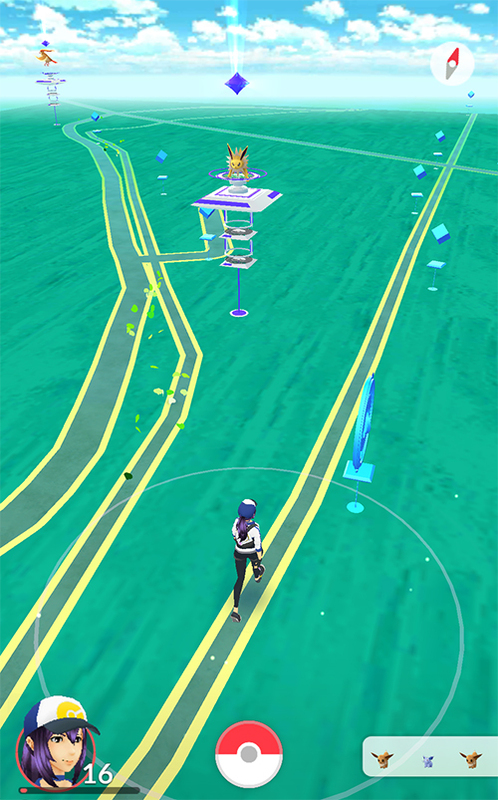 There is a Gym at the main entrance to the park and in the parking lot, as well as five Pokéstops in close proximity to the Visitor Center. 2. Walk the Joseph Plumb Martin Trail from the Visitor Center to the National Memorial Arch. The distance is about a mile, and the path alone has three Gyms and numerous Pokéstops. The trail is lined with a lot of history and lovely scenery, so be sure to look up and experience reality too. Capture the National Memorial Arch Gym and continue onward if you like. 3. From here, you&apos;ll experience a lot more greenery on the J.P. Martin Trail. Following the trail cuts through Wayne&apos;s Woods, but I recommend taking a brief detour on the road to the Wayne Statue-you may drive or walk, but the sidewalk does disappear for a bit. There are quite a few Pokéstops along the road to the Wayne Statue, as well as a Gym. After a large bend in the road you&apos;ll catch back up to the J.P. Martin Trail. You can catch a lot more if you continue your journey from here. 4. As you near Artillery Park, you have two choices: keep to the J.P.M. Trail or follow the historic trace, which is a portion of the route General Washington&apos;s troops marched. Pretty cool, eh? I chose the historic trace for the Pokéstops and historical markers, but the trail has a few Gyms if that better suits your Trainer needs. 5. 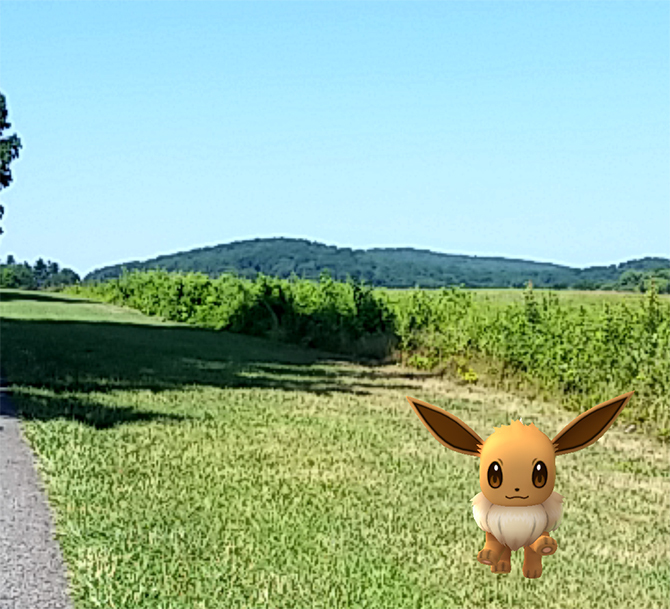 The historic trace converges with the trail after about a mile, and you&apos;ll arrive at Varnum&apos;s Quarters to an abundance of Pokéstops. From there, you&apos;ll reach the Washington Memorial Chapel. It is perhaps the most concentrated hotspot here for Pokémon Go with four Gyms and over 10 Pokéstops. Be the very best in terms of behavior, as you will be on church property. 6. The Patriots of African Descent Monument is your last Pokéstop before completing the loop at the Visitor Center. If your journey is on foot, this is a great opportunity to hatch eggs and appreciate the fresh air. Your phone will still alert you to Pokémon if you glance away, I promise. If you have time, check out Washington&apos;s Headquarters, located outside the loop of the J.P.M. Trail. Visit the building where General Washington himself stayed during the encampment, and be sure to hit the Pokéstops and Gyms in the vicinity. 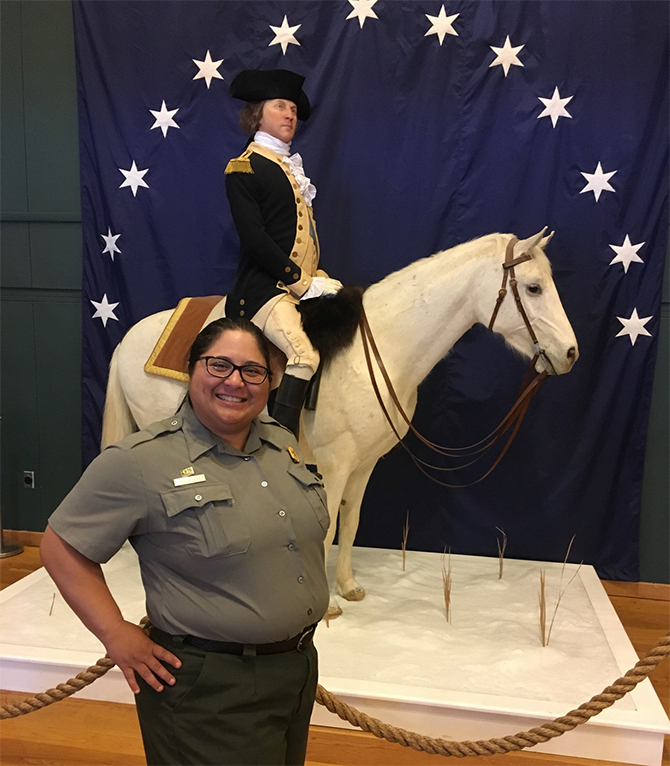 Following my expedition, I was fortunate to meet with the lovely Ranger Vanessa Latham, who I&apos;ve deemed the Valley Forge Pokémon Ranger. The interview took place amid the petals of a Lure Module, so we had plenty of time to catch and chat about Pokémon Go at Valley Forge Park. P: What&apos;s your best catch at the park, and where did you find it? 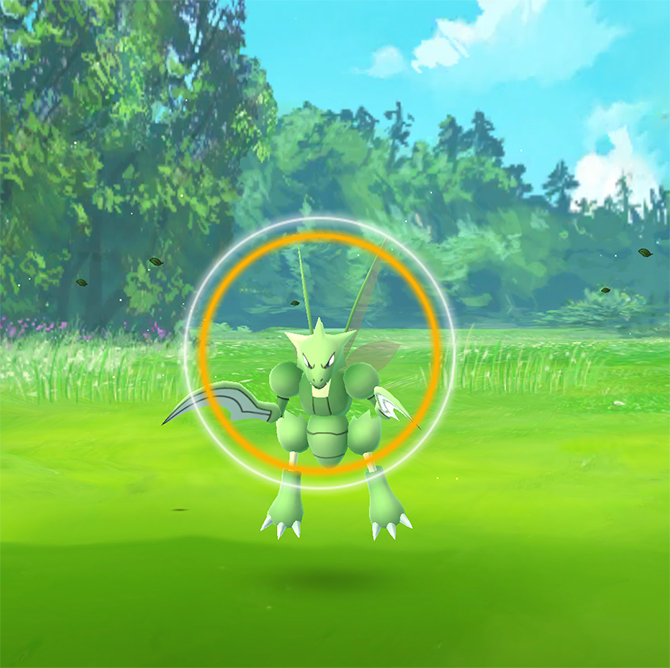 V: I caught a Scyther near Artillery Park. I also caught a Haunter near Muhlenberg Brigade - it was quite a surprise! I did find a Dratini near Wayne&apos;s Woods, but the bugger got away. 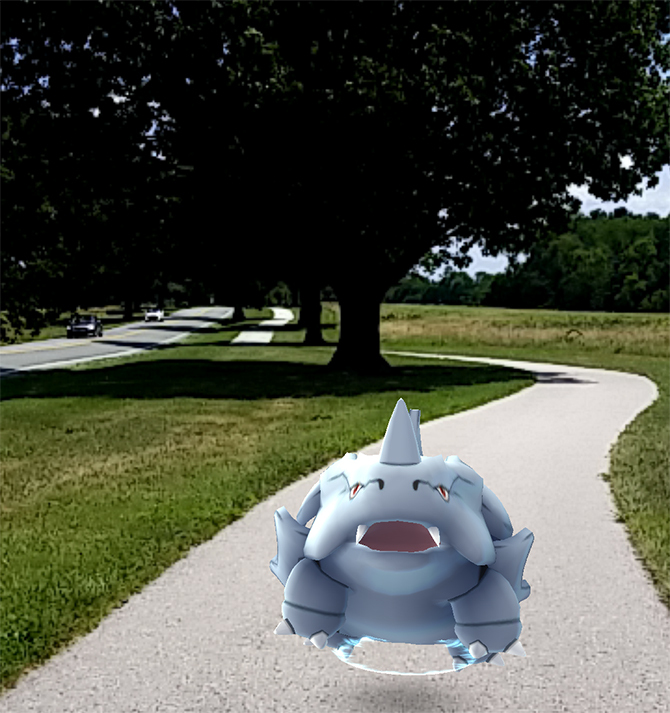 P: What&apos;s your best piece of advice for Pokémon Go at the park? V: Don&apos;t underestimate the weather; dress appropriately for it. I can often tell who is visiting for Pokémon Go because they are not dressed for a day at the park, in addition to being glued to their smartphones! Believe me, you could easily spend hours here walking the trails, so don&apos;t forget hats, sunscreen and bug spray! P: Are all the park rangers excited about Pokémon Go? V: Of course! It has been amazing to see the influx of a younger, more diverse demographic visiting the park. I&apos;ll admit, one concern is that Pokémon Go trainers are visiting the historical markers for Pokéstops and Gyms rather than learning about their significance. However, we also have a great number of runners, hikers and bikers who visit the park without reading each monument. We have always been happy to have them here, and I see Pokémon Go trainers as no different. P: What are your thoughts on Pokémon Go and its effect on your ranger work? V: Well I do wish Trainers would park in designated spaces and only visit during open hours, safety first and all that. For me, Pokémon Go provides an opportunity to make a contact with millennials. *waves smartphone* This is how we operate now. The current generation enjoys the park differently from older generations, and that&apos;s okay. Pokémon Go may calm down over the next few weeks, but it isn&apos;t going away. This is the next step in how we experience the world. I plan on embracing it. 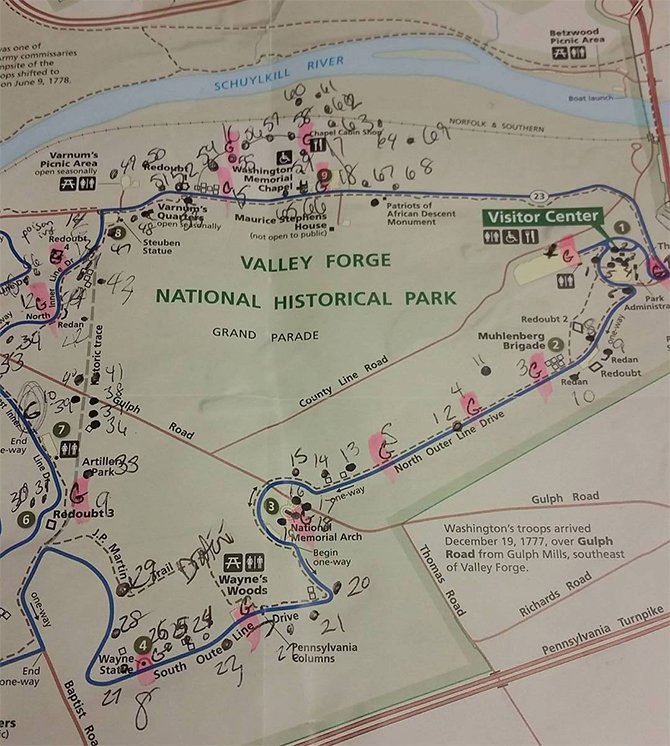 Stay tuned for an interactive map and Pokémon Go group tour at Valley Forge National Historical Park. Happy hunting, and stay safe Trainers!